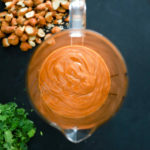 This spicy peanut sauce is PERFECT for what I think of as a “regular” meal. We use it for all sorts of things, hot and cold, which is one reason I love it so much. This recipe comes directly from another Lindsay at Pinch of Yum, and we make a tofu/zoodle bowl almost identical to this one using this sauce. 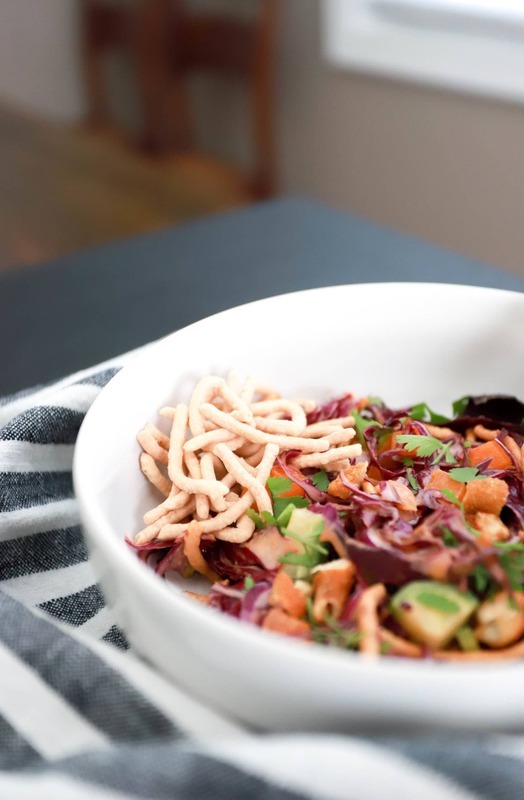 Cold, tossed with shaved brussels, leftover rice, and crispy tofu – best ever salad! This is just a tiny list, and I promise that once you taste this dip you’ll agree with the YEP, GOES ON EVERYTHING stance that I hold so dear. I simplified this recipe a bit in that I chop and peel NOTHING. Everything goes into the blender, we whiz it up, we are done. 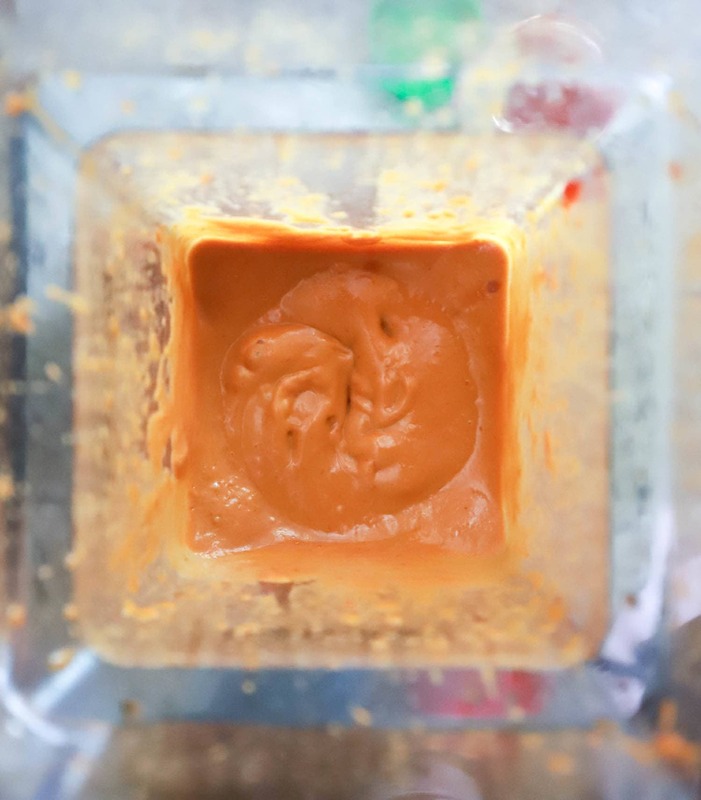 Peanut butter, sesame oil, soy sauce, rice vinegar, chili paste (sambal oelek or similar), sugar, garlic, and ginger. Gang’s all here! Blend. Taste. Adjust. Done! I almost never change the measurements below, but sometimes the salty/tangy of the soy and vinegar have been a little overpowering for me. When that happens, I add about a tablespoon more EACH of peanut butter and sesame oil. That’s it! Here’s your new best friend. I love making a batch of this every other week or so and using it once or twice for dinner. Not having to get out the blender on a weeknight is a huge timesaver, and bonus points if you’ve already prepped some veggies for dipping! Coming soon: My favorite whole-meal prep to do for this dressing. Enjoy this! Start with the tofu and zoodles, they’re to die for. 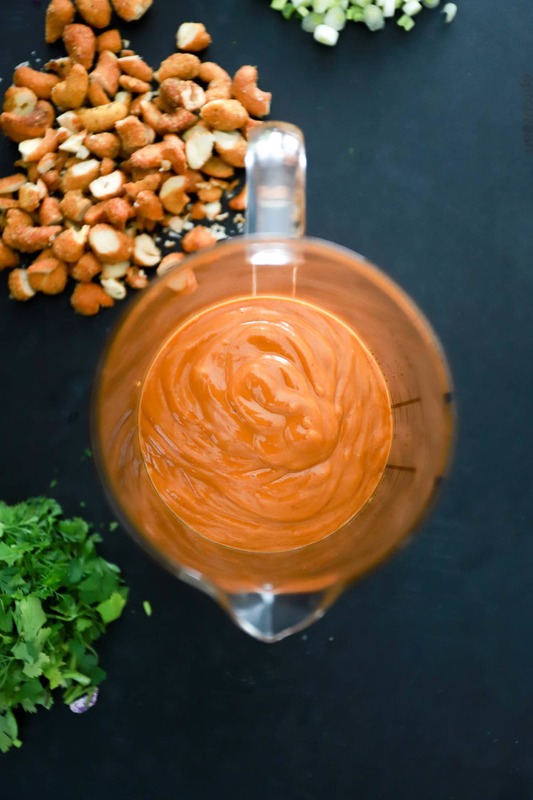 One minute in the blender make this spicy, creamy sauce ready for dipping, tossing with noodles, or to glaze tofu. You’ll adore this! 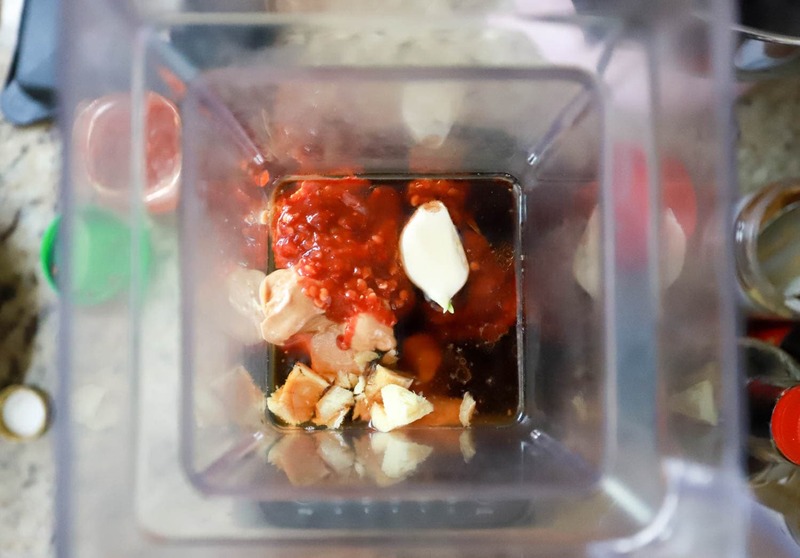 Add all ingredients to a blender. Blend on HIGH to combine. Taste and adjust the seasonings to your preference. Use any way you like! I love this cooked with tofu, it gets crispy and dark at the edges and is SO good.